Covering : Northwich, Knutsford, Winsford, Frodsham, Runcorn, Widnes, St. Helens, Warrington, Wigan, Leigh & Manchester. 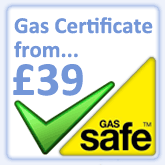 All our gas engineers are 'Gas Safe' registered and are specialists in boiler servicing and repairs. 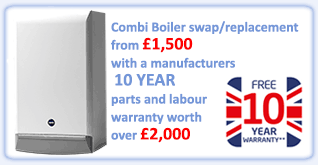 We continuously send our engineers on boiler manufacturers training courses to keep their skills and knowledge up to date, in order for us to be able to work on all make and models.
" Remember Your Safety Is Our Priority! " All boilers should be serviced annually according to the manufacturers, so they operate safely and efficiently. 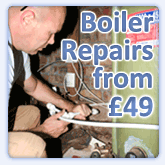 Our extensive boiler service really is value for money!
" We genuinely believe you won't find a better service"